NOT ALL SALES ARE EQUAL ESPECIALLY WHEN SELLING YOUR BELONGINGS. Whether you’ve lived in a house for one year or 25 years you will accumulate stuff that gets shoved away in a dark corner and collects dust. We all do it unless you’re an extreme minimalist which wouldn’t be so bad for some people who can’t stop shopping for stuff to fill up their home. It’s after you are ready to move house and de-clutter for your first moving sale that memories and things start popping up. Then you have to make decisions about these items and sometimes selling or donating memories can be the hardest thing to do. Did we spend our money to buy it? Should we sell it or donate it? If it wasn’t our money then we don’t have to worry about a loss because we didn’t fork out the cash for it. Do you sell the stuff or do you take it with you? This is a question you need to ask yourself or sit as a family and discuss before even beginning to think about marketing a moving sale to the public. The last thing you want is little Johnny screaming because you are selling his favourite Jeep, The hardest part is saying good-bye but out with the old and in with the new or new to you stuff wherever your move takes you. 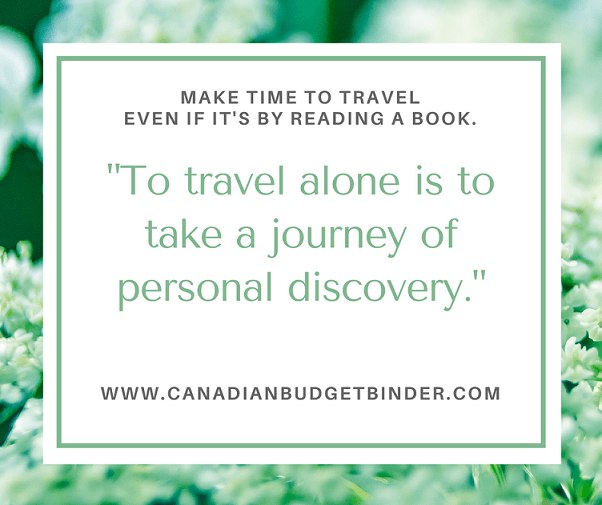 Some of the best budgeting tools will have a category for “extra income” which simply means you earned money during the month that you wouldn’t have otherwise had. This budget category might just be your secret to getting ahead so you’ve got one month of starter savings tucked away in your emergency savings. Whether you are hosting a moving sale to downsize, change your decor, move out of country or just to get rid of stuff you no longer will use it’s important that you checklist your selling strategy. Are there differences between different types of sales a homeowner has? Yes and no however some types of sales are better suited for different people. Yard Sale is for selling stuff outside that you no longer need and could be away from the home. Garage Sale is for selling stuff outside of your home or in your garage including kids and baby items. Estate Sale is for people who want to sell everything inside the house usually by appointment only. Moving Sale is for people who are selling items including furniture and can be indoor or outdoor. Out-of-Country Moving Sale is for people who are downsizing to move to a new country. Student Sale are for graduating students or students looking to get rid of stuff they used to get through the school years in their living quarters or rental apartment. Also known as the “moving out sale“. Out of the above list a moving sale that advertises “Must Move and Sell All” or “Selling Everything” or “Huge Downsizing Moving Sale” attracts more attention then a simple garage or yard sale does. Why? Buyers like estate and moving sales because there are more items to choose from including larger furniture pieces. I remember when we bought our home that we attended an estate sale and practically bought everything. It was fun to do but they were super organized and it was all done by appointment only. The money we saved and continue to save because of cashing in on a moving sale like that has helped us achieve our debt free/mortgage free status. When I moved to Canada 10 years ago I owned a house that was filled with furniture from top to bottom. The mere thought of having to take it all with me to Canada made me cringe so instead I hosted a moving sale. I learned a few things about hosting a moving sale and how I could have maximized my profits. Moving expenses to a new country can be as costly as you make them. It’s not cheap however the less you bring the cheaper it will be. Ideally you may want to go through your stuff and ask yourself if it can be replaced where you are moving to and is it worth selling it. Some people could care less what they sell their stuff for when moving house but others think about how hard they worked to buy what they are selling and turn a different tune, the profit song. Why give stuff away when you are moving? You worked for it so squeeze in some time to host a moving sale and pocket what you can for a rainy day. Moving to Canada meant I had to pay for space in a shipping container for my boxes of belongings I did bring which was already pricey enough. I decided to get rid of everything apart from stuff I wanted in my life which luckily all fit in tall moving boxes. Even this cost me some healthy cash to ship and I know friends of ours paid over $5000 to ship their entire home to Canada. Wow~ best part most if it was IKEA furniture which could have easily been purchased in Canada with a savings after that hefty shipping price tag. 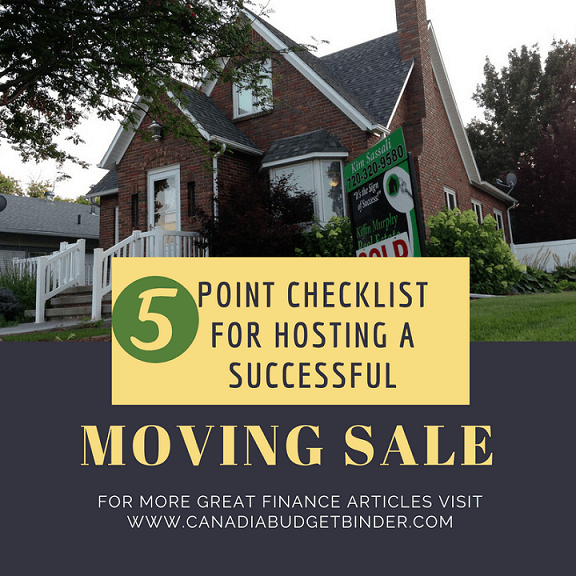 It doesn’t matter if you host a moving sale to move somewhere close by it’s important that create a moving checklist that will get the job done in a fashionably easy time-frame. Most people who have a home to sell like to host a moving sale to get the house ready for real estate photos. Why keep stuff in the pictures that don’t add value to the sale? Space does…stop the clutter for the win. You already know that you plan to sell your house or you’ve already sold your house but don’t want to take all the stuff you’ve inherited over the years with you. The time frame for your moving sale is critical especially if you don’t move for 4 months and plan to sell all of your stuff to move to a new city or country. The last thing you want to be doing is sleeping on an air-mattress for 2 months because you sold your bed. At least a month before moving host a moving sale with exceptional prices and you’ll sell everything. Make sure everything you are selling is cleaned, dusted and in working order. If you have an item that is broken or missing parts just sell or give it away to someone in need unless of course it’s worth money dead or alive. Any items you plan to list online do so now and keep on top of the sales and where your ads are listed. In the event you want to pay for ads to be pinned or bumped to the top for maximum viewing coverage this is also an option for faster sales. Be open to negotiations or you won’t sell a damn thing. Just about everyone negotiates the price so be ready for it. Do you have a target audience for your moving sale? Depending on what types of items you are selling what you need to do is give that audience a shout out. Knowing your target audience is key to getting more traffic to your moving sale along with advertising on social media and other websites such as Kijiji or Craigslist. Below is a sample moving sale ad that you might post on Kijiji. Huge Moving Sale for New Parents<<< You are targeting your audience in the title and again in the body of the moving sale ad. We are moving to a bigger home and have lots of baby items and toddler toys for sale at discounted prices. Stop by and have a look at over 4 eight foot tables in our garage and small kids furniture in our basement by appointment only. If you’re looking for anything baby related this is the moving sale for you. Smoke Free and Pet Free Home. West End of Cityville, Ontario. A moving sale will generate lots of foot traffic whether by appointment or not. A little piece of advice is to lock down anything of value and always walk around with viewers or be in the vicinity. Adding extra security such as a camera might help deter would-be thieves from taking off with something while you are talking to other buyers. If this is not possible see if a friend or family member can hang out with you during your moving sale if that includes an indoor sale. If you label everything you are selling with a name, price tag and original price source you’re ready to bargain and sell your stuff. The less time you have to spend with people the better so that you can make your way through all the potential buyers and welcome them. The last thing you want to be doing during a moving sale is sourcing prices and going online while people are waiting to ask you questions or pay you for something you’re selling. When Mrs. CBB and I are selling something we have a list in word that we create and list the original price of the item we are selling, the selling price and the expected sale price. We also add a price for as low as we will go pricing as sometimes we get people who low-ball stuff we sell that they know is worth far more. Set limits and if the price isn’t right and you know you can sell it for more hang on to it or get rid of it for any price you can. The choice is yours but the checklist comes in handy even for those hosting a garage sale with vintage items or larger items. Another great thing to do is if your items are worth money to print out a pricing guide which includes print-outs of actual prices to purchase the items new. This helps when you are working on negotiations with customers at your moving sale. Example: This playpen cost us $400 new last year purchased from Sears Canada and we are selling it for $100. If you are able to show your moving sale customers the huge deal they are getting the faster you will sell your stuff. It makes it worth it because the extra money you earn can all be put to good use during a move. If you plan to advertise your moving sale online along with what you are selling please add photos. The worst online ads are those without clear photos. You might want to make sure the space is tidy and the product looks clean. You get more or less for whatever shape you sell or advertise something for during any type of personal sale. Some items may require more than one angle so don’t neglect this fact as you’ll end up getting emails from potential buyers looking for them. Do it right the first time and they will have nothing more than general questions to ask and your address for pick-up. A moving sale is a big deal and even bigger in my opinion then a simple yard or garage sale. Knowing you can pull it all back in at the end of the day isn’t as bad as having to donate it all or hope that someone takes what you leave outside for free which in most cases is never a problem. At the end of the day you want to line your bank account with emergency savings, pay off debt or just be happy that you can move wherever you need to go and not worry about taking everything with you. A moving sale is more than a yard sale it’s selling your life for a new one. Discussion Question: If you’ve held a moving sale before what other tips can you offer to someone hosting their first big event? Leave comments below. I look forward to reading them. Thanks. Lots of illness this week again starting with me and ending with Mrs. CBB and the little guy. I believe I had it the worst although Mrs. CBB is coughing up a storm so it’s her turn to sleep in the spare room which I’m sure she’s not complaining about. Our spare room bed is SO COMFORTABLE. We made a major purchase this week which I will be discussing in an upcoming post. It’s the biggest money order we’ve had drawn up in years but will serve us well for the next, hopefully 15 years. Now that the basement is cleaned out and I’m back at work once I’m situated we’ll start working on that insulation and get the basement finished. In all honesty I really need to finish the master bathroom first BUT that can wait for a bit. Our son needs more space to play around our house and there will be more than enough down the basement. It will also give me an opportunity to build a proper office which I used daily so the space is very important to me. Other then that Mrs. CBB and I are working hard behind the scenes and trying to get over this coughing illness. As I mentioned I’ve hired a blog designer whom I’m working with to bring the website up to modern speed especially with smartphone and tablet readability and brightening up the space further. If you’d like to suggest a change message me with your insight now because I can’t go back after it’s done! I’m also looking to hire a journalist student looking for writing exposure or to build a portfolio. The money won’t be huge but the benefit will be especially on a shiny resume. If that’s you email me to chat. Freelancers please do not apply as I’d like to use this opportunity to help a student gain valuable experience in the online community of blogging and social media. Today’s read “That Clutter In Your Home Used To Be Money” over at Retire Before Dad ties in with today’s blog post about selling stuff but from a casual point of view rather than a moving sale. I agree with many of the writers points apart from the adrenaline rush from throwing something out. The best way to avoid clutter is to not buy stuff in the first place. Make purchases on purpose. I’m not going to lecture you on this. Save your money. 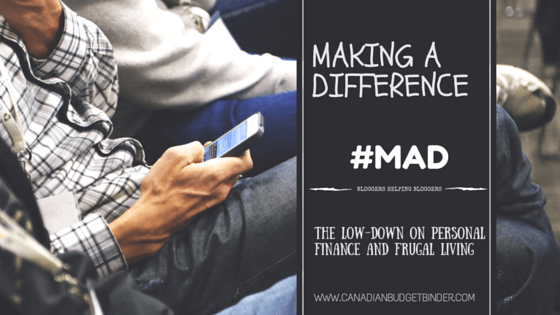 If you are a personal finance blogger and would like your blog to be featured simply drop me an email. I’m currently booking October 2017-Limited spots. My name’s Alexis and I am a full-time travel blogger over at FITnancials. Besides traveling on a budget, I talk about living a healthy lifestyle and how I maintain a 60-pound weight loss. I also go in-depth about living life as an au pair, A.K.A. nanny abroad, as well as living as a volunteer in South America. FITnancials is inspired by the idea of wanting to teach others how to live their best life, even if they’re on a budget or trying to pay off loans. Living life to the fullest can be done in a way where people can afford it or without selling their soul. On top of posting valuable and informative content, I recently started a free resource library where readers of my blog can get access to a list of 10+ printables. The library currently has travel checklists, meal plan templates, a monthly budget planner, along with several other printables. The library will be updated monthly with new printables. Also, I’m currently in the process of creating a thorough and extensive eBook on traveling the world, which will include how to travel for free, working abroad, and many other valuable tips. 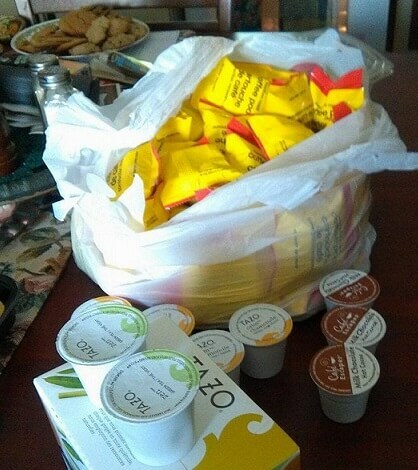 This week I managed to pick up 45 coffee pods, 3 hot chocolate pods, 5 chamomile pods and 12 Green tea pods all for FREE off of our local swap and shop group. You can’t get better than free. 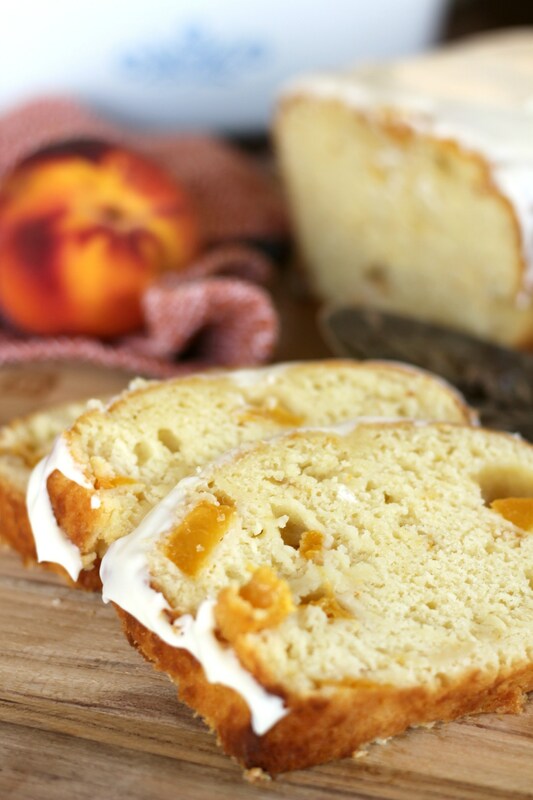 Colleen K.
Marie over at Bread and Buckets wins top pick this week for this Peaches n’ Cream Bread. I would have liked it plain but that thick coating of icing she adds on top is SO HARD to resist. 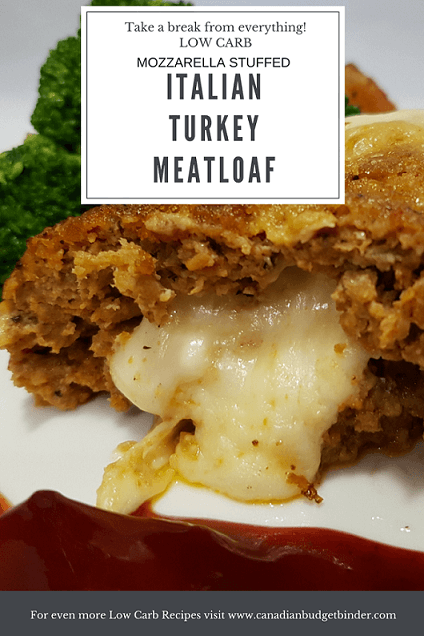 I bet this tastes delicious and the perfect loaf bread for the Autumn season. Our son has done nothing more than mention Halloween everyday at least once which means he knows what’s coming up and he’s not going to miss it for the world. We are a craft family and so we’ve been looking for easy crafts for Halloween and Fall that we can showcase in our house. The best part is we work together on our crafts to include our son. 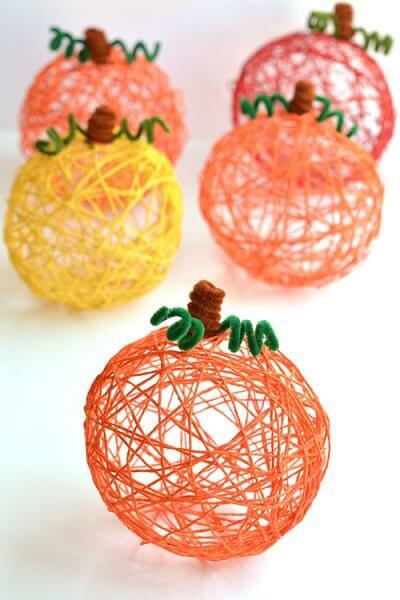 He loves balls and pumpkins so I thought this How To Make A Yarn Pumpkin would be perfect fun for our son. Thanks to Marie over at One Little Project for the DIY weekly idea. Now I need to buy some orange yarn. Can I make relish with cucumber? – No you must use potatoes. Of course you can. I can only eat for a week on welfare– I’d love to see what a week of your groceries look like. Students + Groceries – Equals eating in instead of blowing money eating out or just someone learning about students and groceries. Grocery List for Canad (sic) – Let’s all learn how to spell CANADA!! Too fast with the fingers although I’m one to talk, haha!